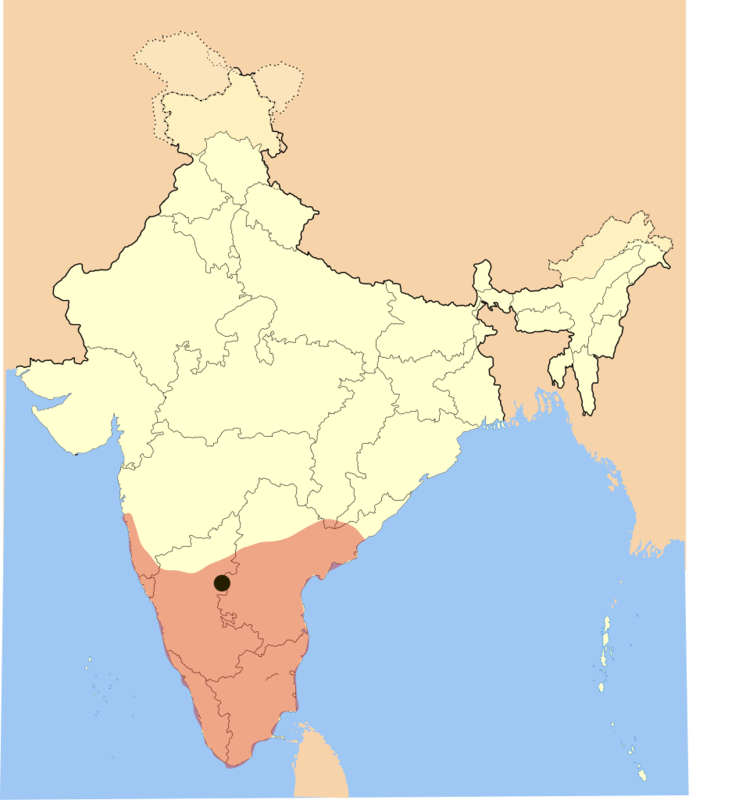 We are still on a break until early next week, but today is the anniversary of the 1565 Battle of Talikota, which severely weakened–though it did not destroy–the formerly very powerful Vijayanagara Empire of southern India, and allowed the Muslim Deccan Sultanates to expand their territory southward. Although the Hindu Vijayanagara lost the battle, it could be argued that Talikota helped shape the modern state of India, because it brought to an end a period in which Hindu southern India and Muslim-ruled (though still majority Hindu) northern India were developing more or less on separate tracks. Had Talikota not been fought, or had Vijayanagara won a defensive victory, it’s not clear, for example, that the Hindu Maratha Empire would have eventually formed in the Deccan and conquered so much of northern India. Anyway at the risk of repeating myself I’m not able to do much writing at the moment, and so I would have let this pass had I not found a decent piece on Talikota’s background published by The Diplomat back in 2015 (people love round number anniversaries). It does a good job explaining what the Vijayanagara Empire was, why it was important in Indian history, and why it’s defeat here was also important in Indian history. The one thing that bugs me about that piece is that it spends even less time on the actual battle than I usually do. Vijayanagara didn’t just lose because their commander, Rama Raya, was captured and killed during the course of the battle. It lost because, despite a slim edge in manpower, its army was structurally inferior to the Deccan army in several ways. For one thing, the Deccan force had a large edge in cavalry–Vijayanagara still relied on war elephants, which were a lot less impressive as a weapon in 1565 that they’d been in, say, 565. Deccan archers used powerful crossbows against relatively weak bamboo bows on the Vijayanagara side, and in terms of battlefield artillery the Deccan force vastly outclassed Vijayanagara. And if those structural advantages weren’t enough, the Deccan sultans also bribed two divisions of Muslim soldiers in the Vijayanagara army to switch sides in the midst of the battle. The Vijayanagara Empire survived until 1646, but it spent much of its last ~80 years being picked at by the Deccan Sultanates–eventually it was conquered by two of them. The city of Vijayanagara itself was so thoroughly sacked after Talikota that it really never recovered.